For my friends in the media and bloggers who want to write about Happy Tummies: A Cookbook for New Mamas, we've gathered a bunch of resources for you! You can download the entire press kit in pdf format, or to make things easy, we have broken down the information in smaller chunks. If we can assist in any way, please contact us at (click to show email address). 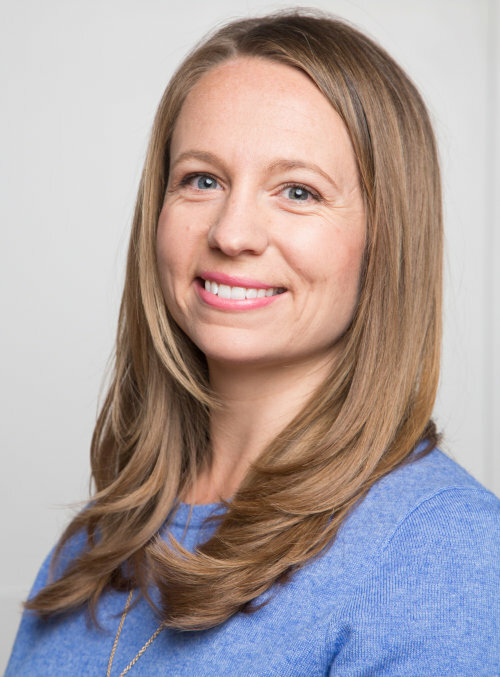 Karen's bio Karen Folcik helps moms unravel the misinformation about feeding your baby and shares exactly how to do it the easiest and most nutritious way. 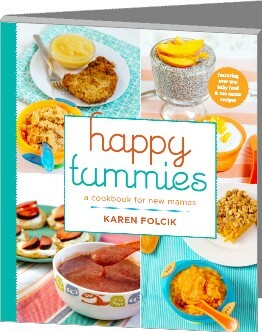 Starting solids expert and homemade baby food guru, Karen Folcik is the author of Happy Tummies: A Cookbook for New Mamas, where she gives moms a reliable, practical resource that answers all their questions about starting solids, which gives easy and nutritious recipes for making baby food at home. 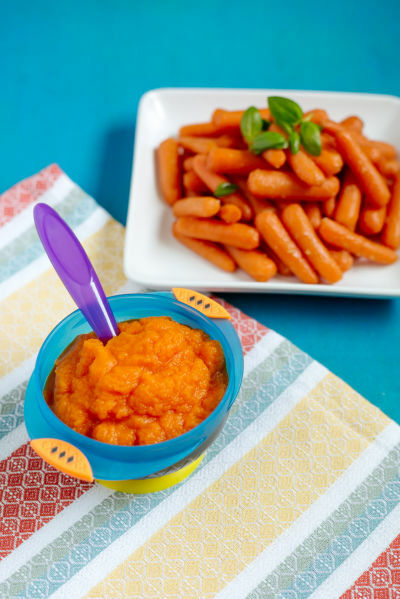 Karen made nearly all of her two sons' baby food from scratch (not because she had endless energy, or thought she was Super-Mom), but because she fed them foods she was eating. If she had bananas at home, the babies had bananas. If she was making chicken and rice for dinner, that's what they had too. 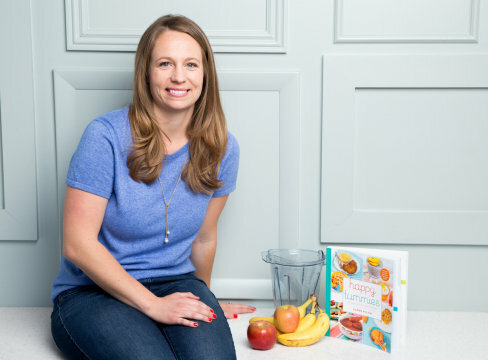 Karen's mission is to empower new parents, and help unravel and clarify the confusing web of information on how and when you can feed which ingredients to your baby (all based on the latest recommendations from organizations like the American Academy of Pediatrics). 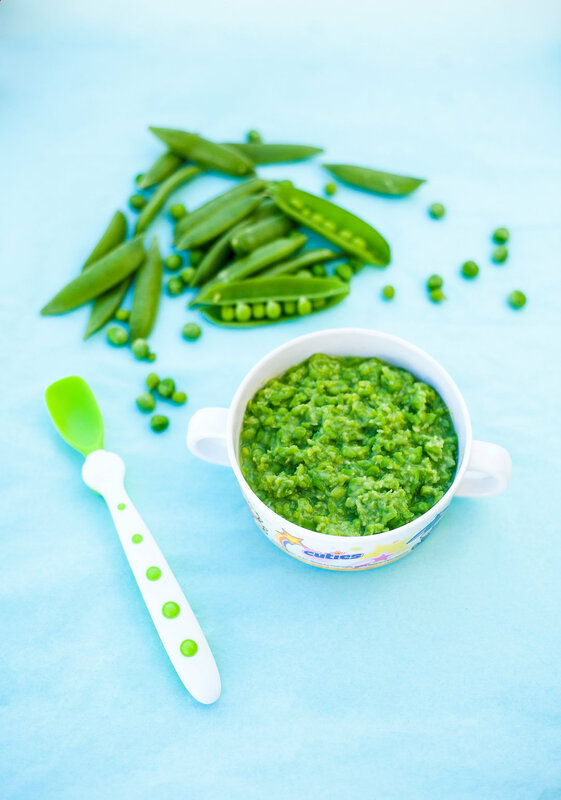 Karen believes that any mom can make their own baby food, and aims to debunk the jarred baby food trend through education. 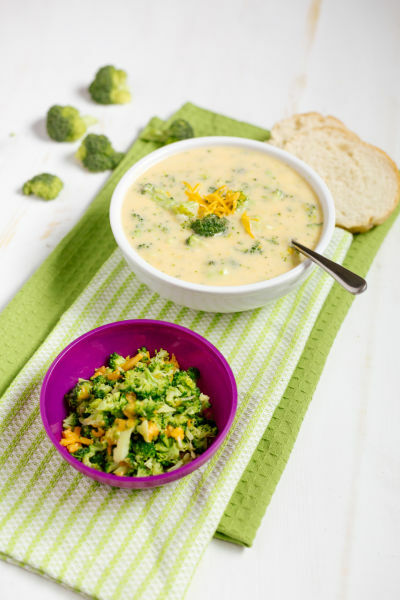 In addition, Karen is a speaker on the subjects of starting solids, infant and new mother nutrition and homemade baby food. She loves sharing what she knows about these topics by giving talks and demos on TV, at expos, open houses, Mom's groups and more. To request an article or expert opinion, please contact (click to show email address). 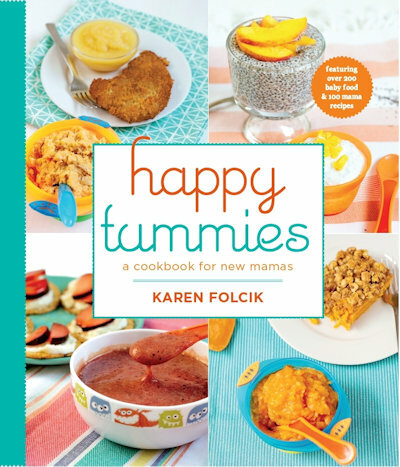 about Happy Tummies: A Cookbook for New Mamas Written for the busy, modern mom, Happy Tummies shows you how to make nutritious and delicious baby food from over 40 of the most common fruits, veggies, meats and grains. 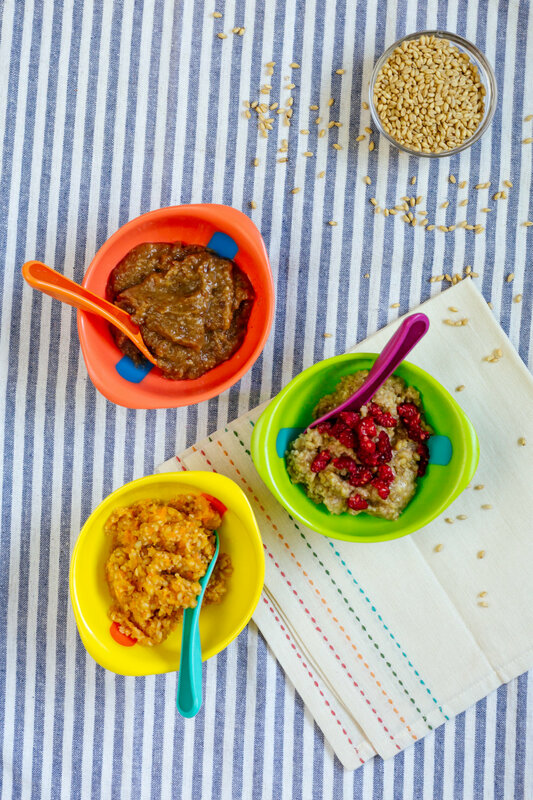 Now you can cook up baby food from nearly any whole food ingredient in your kitchen! 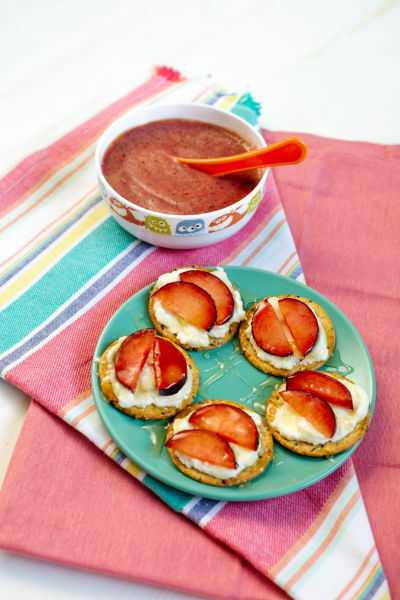 With step-by-step cooking instructions, beautiful color photographs, recipes to help you introduce new flavors and textures and much much more, Happy Tummies takes the guesswork out of making homemade baby food. 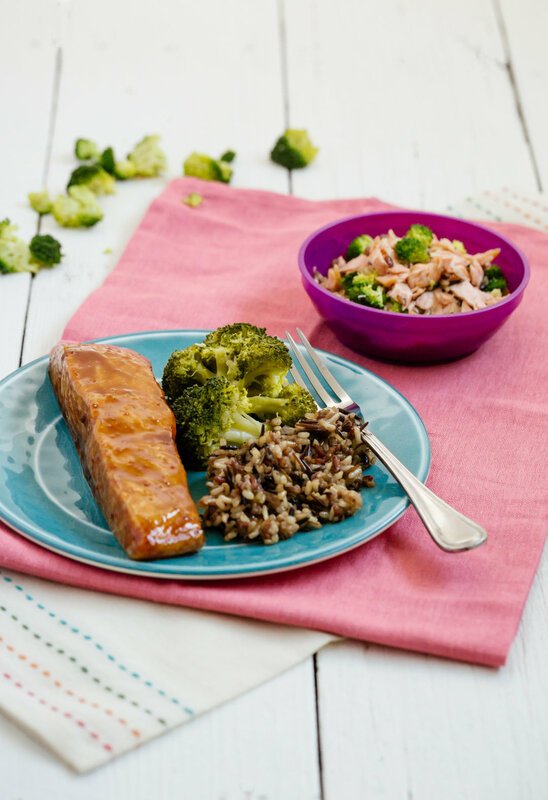 Plus, with each ingredient there are adult recipes, so you can cook up something delicious for yourself while you're at it. Happy Tummies also includes a complete guidebook to starting solid foods based on the latest infant nutrition and feeding recommendations from trusted organizations such as the American Academy of Pediatrics. 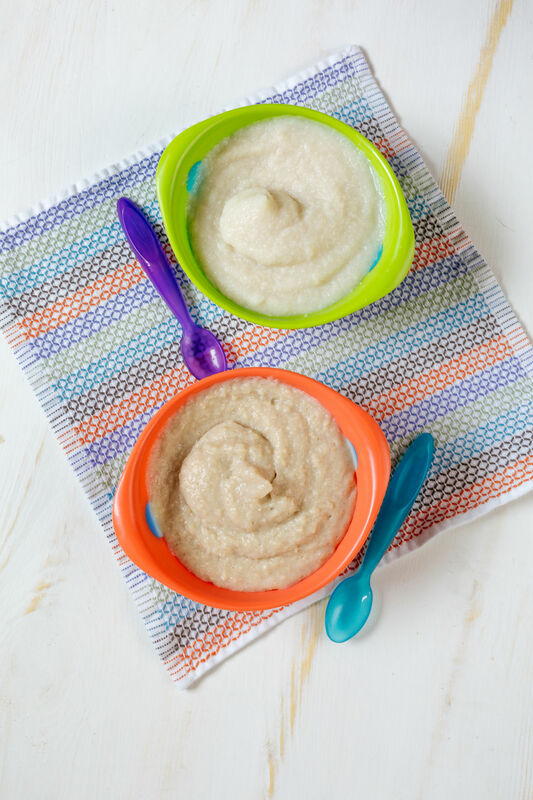 In this section you'll learn the basics of how to cook, puree, store and thaw homemade baby food. It's packed with valuable tips for new mamas, such as how to: tell when baby is ready for solids, choose baby's first food, spot a food allergy, raise an adventurous eater and safely transition from purees to finger foods. As a mother whose done it, Karen Folcik, covers everything a new mama needs to know about homemade baby food and starting solids. 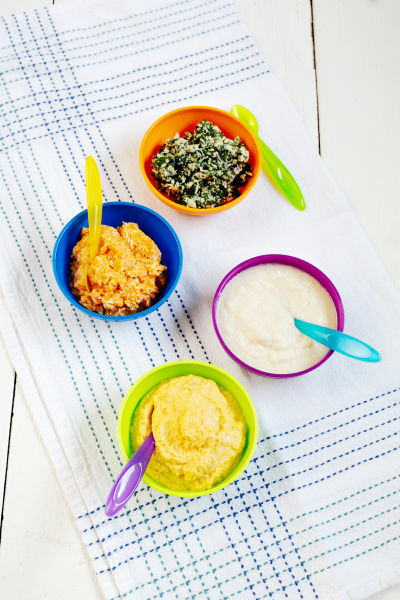 Happy Tummies is uniquely practical, and is an indispensable resource for all new mamas starting their baby on solid foods. This is one of those books that will become a staple on your kitchen counter, so you can easily turn to it again and again. 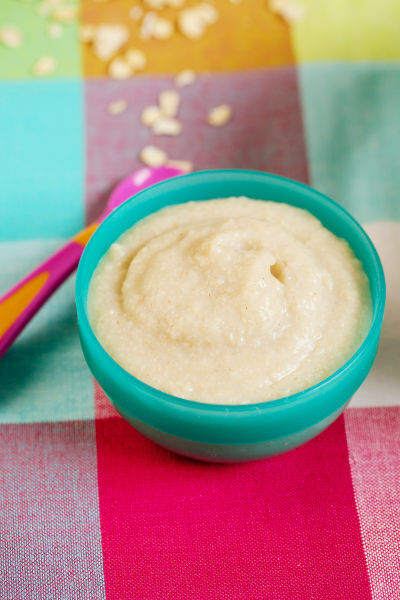 You'll never have to look up another baby food recipe online again! retail & wholesale availability Happy Tummies is available through retail channels on: Amazon, online and in stores at Barnes & Noble, Independent Publisher's Group, Babinski's Baby, YIN Wellness and through this website. E-book versions are available through Amazon, Barnes & Noble, and Independent Publisher's Group. 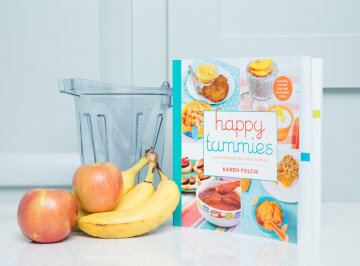 If you are interested in carrying the book in your store or sales channel, you can order Happy Tummies through our distributor, Small Press United. images Please feel free to download and use the following images. Please attribute credits to Karen Folcik.